Great Escape Classic Car Hire's Jensen Interceptor took a trip down to Cornwall this week to take part in a photoshoot for Jack Wills clothing. The quintessentially British clothing brand chose the big British supercar bruiser because of its iconic 70s looks which match Jack Wills' classic lines. We worked with the production team to help select the right vehicle for the shoot and to arrange the logistics at very short notice. Thanks to our investment in logistics equipment during 2011 we are able to transport any of our fleet of over 50 classic cars anywhere in Britain to tight deadlines. Our Operations Manager Russ Pemberton made the trip with the 1974 Jensen Interceptor using our truck and trailer set up and attended the photoshoot, which was located right on the beach at Boobys Bay near Port Isaac in Cornwall. 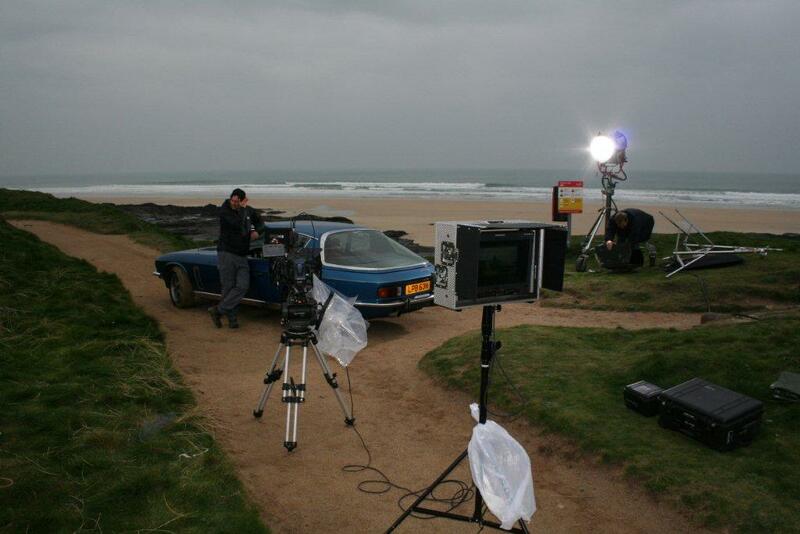 "We regularly work with TV, film and advertising teams to provide cars for shoots," explains Graham Eason of Great Escape Classic Car Hire. "We have invested in this area so that we are able to deliver vehicles to site anywhere in Britain at short notice and in a highly presentable condition. "Our experience means we can help production teams make the most of our cars without the hassle of having to collect the car and maximising their time and budget."